Smoking can kill you, but now we know that e-cigarettes can too. If you're trying to stop smoking by using smokeless cigarettes, you need to know that their active ingredient — nicotine — is a strong neurotoxin. Your skin can absorb it — and you can ingest it orally. Its flavorings — cherry, chocolate, and bubble gum — make it attractive for children as well as adults. What's more, these toxic flavorings, or "e-liquids," are totally unregulated. This makes it easy for you to get seizures, vomit, or even kill yourself. There's another reason to not smoke e-cigarettes: they don't work. 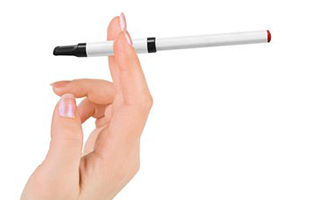 A recent study found that smokers who used e-cigarettes weren't significantly more likely to give up smoking tobacco. In addition to not working, e-cigarettes contain diethylene glycol, a cancer-promoting chemical found in antifreeze. The study followed 949 smokers nationwide from 2011 through 2012 and did not find evidence that e-cigarettes were useful in helping people quit. The researchers wrote, "Although electronic cigarettes are aggressively promoted as smoking cessation aids, studies of their effectiveness have been unconvincing." They even went so far as to say that "regulations should prohibit advertising claiming or suggesting that e-cigarettes are effective smoking cessation devices until claims are supported by scientific evidence." One placebo-controlled study did suggest that e-cigarettes were as effective as nicotine patches at helping people quit - but that's not saying much. Those rates are 6-7%, which aren't exactly impressive. But beyond not being effective for quitting, the e-liquid that fills e-cigarettes is highly dangerous in itself. Whether you ingest it or absorb it through the skin, it's powerful enough to be lethal. Even a diluted teaspoon of it can kill a small child. These dangerous liquids aren't regulated and far too often are left around the house easily accessible to children. Toxicologists are very worried about the dangers of e-liquids. In fact, Lee Cantrell, director of the San Diego division of the California Poison Control System, said, "It's not a matter of if a child will be seriously poisoned or killed. It's a matter of when." Accidental poisoning rates from e-liquids have skyrocketed in the last several years. There's been at least one death. And there were 1,351 poison control center cases linked to e-liquids in 2013 alone. That's a 300% jump over 2012, and experts worry that the number will continue to rise rapidly. In one case, a woman's e-cigarette broke in her bed. She absorbed the e-liquid through her skin and was subsequently admitted to the hospital with cardiac problems. E-liquids pose a more dangerous poison risk because our bodies absorb liquid so quickly. Mr. Cantrell described nicotine as "one of the most potent naturally occurring toxins we have." It's dangerous in any form, and e-liquids and e-cigarettes are clearly not a safe alternative to traditional cigarettes. If you or anyone you know has been using e-cigarettes, stop immediately and begin a gentle but effective detoxification to remove any stored toxins. PectaSol Detox Formula is my favorite product to remove numerous toxins and heavy metals that have accumulated in your bloodstream in order to lower your body's toxic load.